In Realtor.com‘s recent study for April 2016, Lafayette, Indiana is #16 out of #20 nationwide as a top performing real estate market! The areas named are markets where buyers are eager and homes are selling fast—listings get two to five times more views than the national average, and homes sell one or two months faster than in the rest of the country. The median list price continued its upward climb. Fort Wayne, Indiana was also named coming in at #17 while competing with several markets in California! “In the nation’s 20 hottest housing markets, inventory is selling 17 to 45 days more quickly than the rest of the nation,” stated Realtor.com. “In Lafayette and West Lafayette, Indiana with proper pricing, preparation and marketing, we are seeing many homes hit the market and receive an offer (and in many cases multiple offers) within just a few days,” said Erin Romanski of The Romanski Group. This is the second month in a row that Lafayette, Indiana has made the list as one of America’s hottest performing real estate markets! 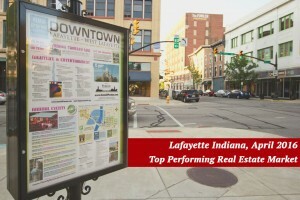 Last month Realtor.com named Lafayette, Indiana as one of the nation’s 20 HOTTEST real estate markets. Home sales, housing starts, and house prices will reach their highest level since 2006 according to Chief Economist at realtor.com in their latest forecast. 2016 looks to be shaping up as one of the best years for residential real estate in Lafayette, Indiana. If you are considering buying a home, it’s important to first meet with a mortgage lender to get understand how much home you can afford and the type of loan that you can obtain and also meeting with a Realtor for a buyer consultation. A buyer consultation is critical to helping your Realtor understand what you are needing and wanting in a new home. If you are considering selling your home, having a knowledgeable Realtor that provides a thorough market analysis to best determine your home’s current value is extremely crucial. You don’t want to give away some of the equity in your home nor do you want to out price your home for the market. Your Realtor should also provide you with a detailed marketing plan to get your home the most exposure as quickly as possible. Whether you are thinking of buying or selling in the Greater Lafayette, Indiana area, now may be the time to sit down with someone from The Romanski Group to discuss the new opportunities that are arising. The Romanski Group takes a different approach to real estate; one built upon personal touch, win-win philosophy and positive results. 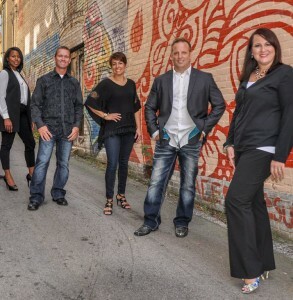 Our team is comprised of dedicated professionals specializing in each phase of real estate. In addition, our extensive knowledge of the Lafayette and West Lafayette areas and surrounding communities including Carroll, Clinton, White, Warren, Benton, Montgomery and Howard counties, allows our team to serve you the best. Give us a call (765) 293.9300 or visit us online to get started!